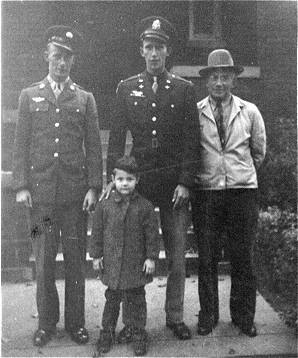 These are the four sons of Edward. 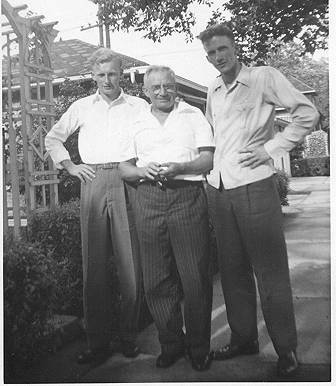 From left to right are Henry, Garret, John and Peter. 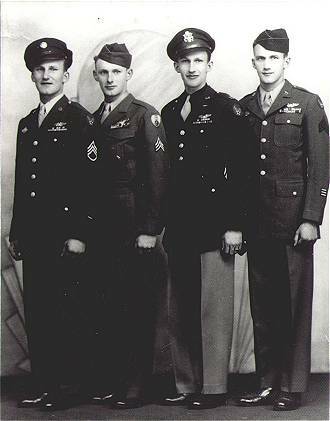 All four enlisted in the US Air Force in WW2. 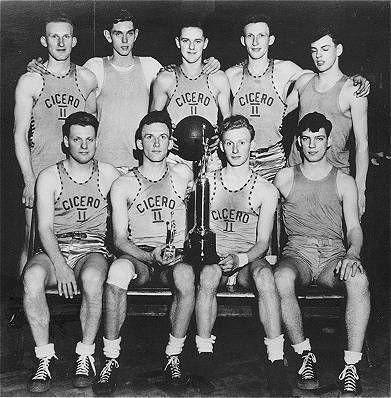 This is the 1947 championship basketball team of the Western Suburbs Christian Reformed and Reformed Church leagues. Top row, left to right: Henry Teune, Henry Zuidema, Henry Bolt, John Teune, Ben Ridder. 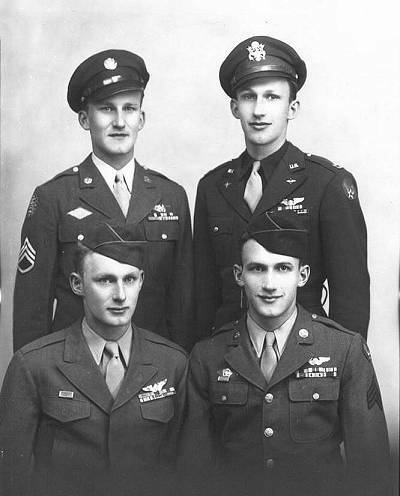 Bottom row, left to right: Ralph Swierenga, Peter Teune, Garret Teune, Charles Ridder. 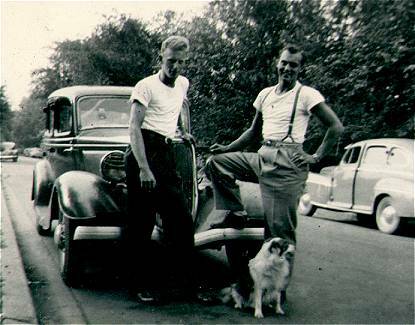 This is Garret Teune with his first car. 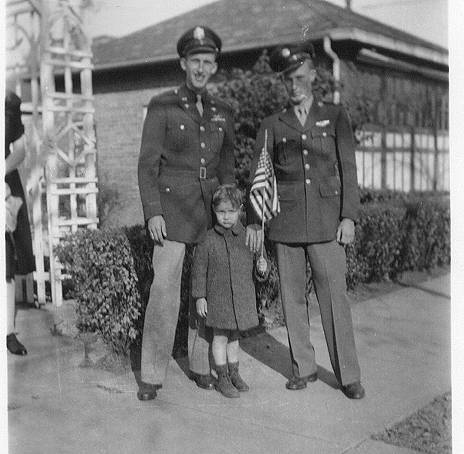 Garret is on the left.